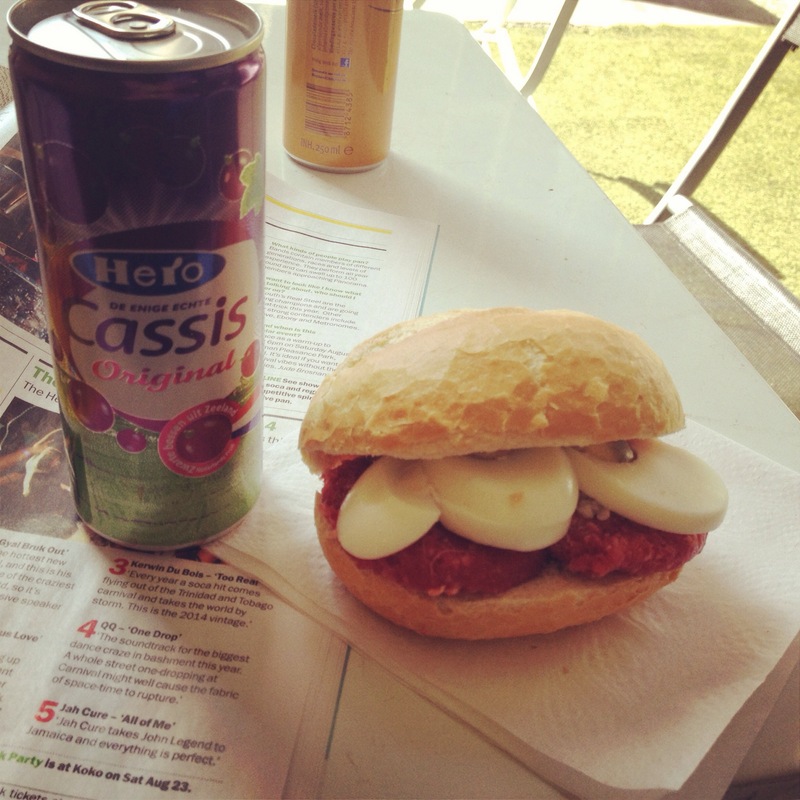 The Frying Dutchmen – Lunch Recommendation! I’ve been to this pop-up food stand twice now, both of these times indulging in some delicious food for lunch so I thought it was about time I shared this fab finding. I love dutch snacks, but previous to my visits to the frying dutchmen I had mainly tried the fried traditional ones – Bitterballen, Kroket, Cheesesouffle, etc. 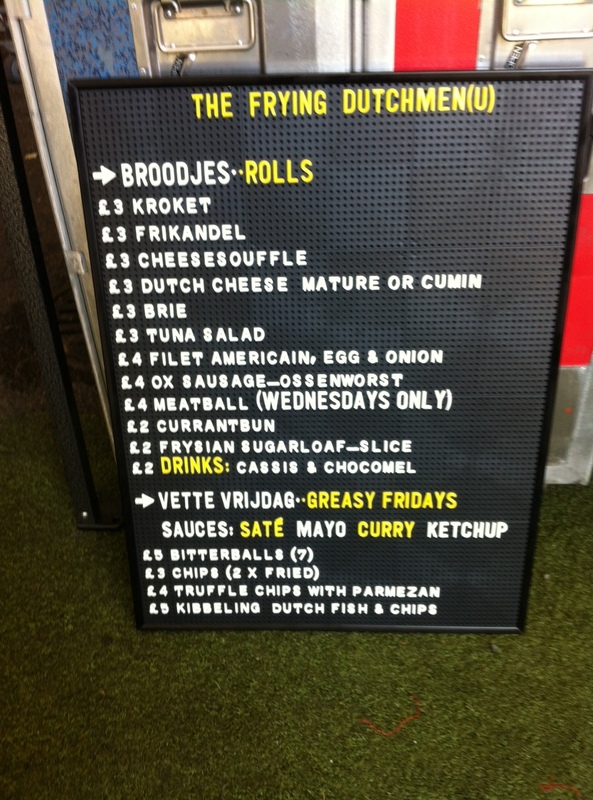 My Account Manager at work is dutch and recommended we all pop along to The Frying Dutchmen one lunch time as it is currently located behind Aldgate underground station on Middlesex street, which isn’t too far for us to venture. I was very much up for it , it doesn’t take a lot to tempt me to try something new! With my Account Manager there too, she recommended us the Filet Americain – Raw meat, with egg and onion – on our first visit, and Tom had a chocomel too – a chocolate drink you can have warm or cold. 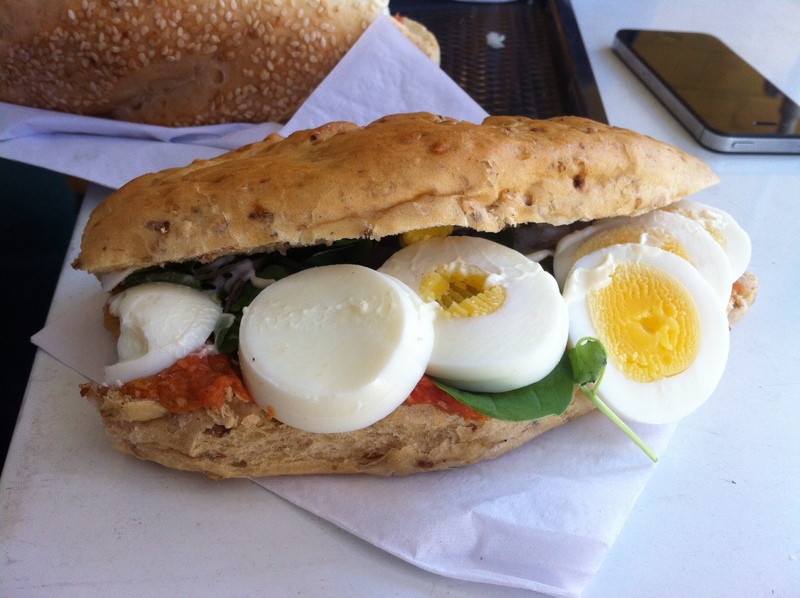 The sandwich was amazing – I always like my meat rarer, it’s so much tastier, and this sandwich was incredible! So tasty, not too chewy, and also reasonably healthy. Plus I was so full after – helped me through the rest of my day! 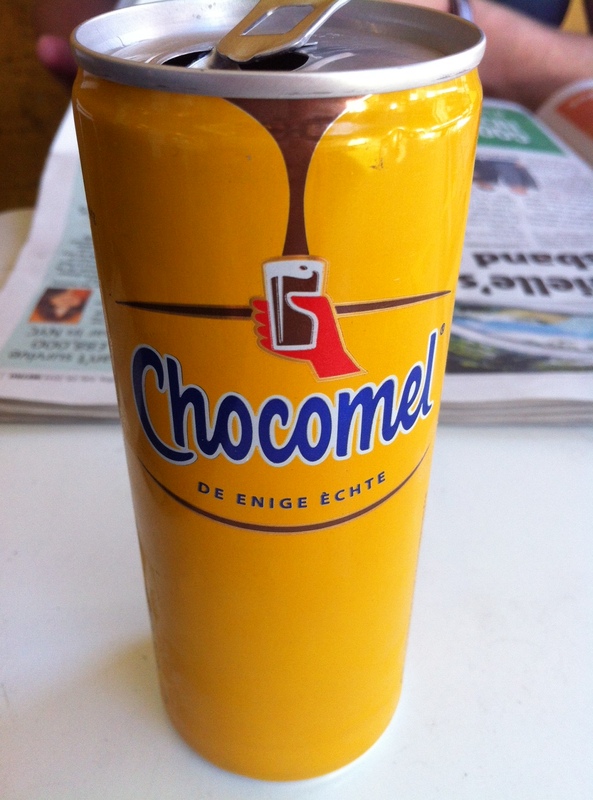 Tom thoroughly enjoyed his too, and the Chocomel was delicious too, a chocolate milk that isn’t too thick. Great first time at The Frying Dutchmen! Thicker meat than the Filet Americain, but still raw/rare, it was so tasty I think it beats many other sandwiches! Why go to the supermarket when you can spend the same on one of these yummy lunches? 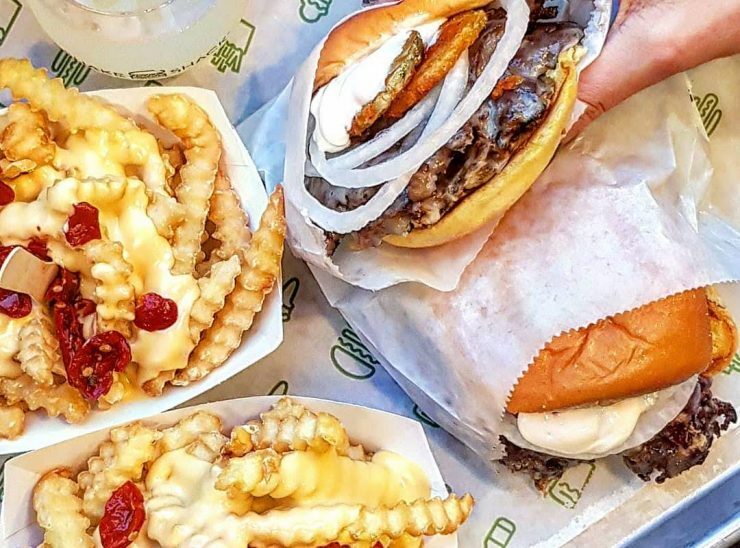 We also shared some fries, with truffle oil and parmesan – I know a naughtier treat 😛 It was a friday! Again delicious, and I don’t normally like fries! I had a Cassis to go with it, which is like a berry flavoured sparkling drink. Pretty tasty, a bit like Vimto. 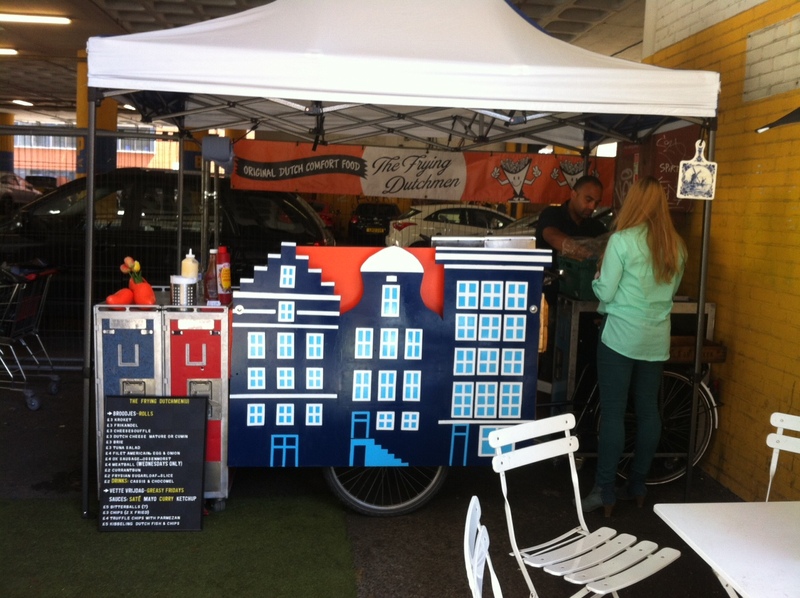 This really is a fab pop-up food truck, love the food and if I ate sandwiches everyday it would be very tempting! If you’re close by, you should definitely check it out! Mexican Mondays – Yes, it is a thing!